Let's talk about the basics, how a JVx application starts, works and how the connection strings together the client and server side. JVx is designed to be Multitier by default. It allows a clean and easy separation of processes and makes it easy to build, maintain and extend applications by separating the client, server and data storage. The following method is a simplified way to launch a JVx application. Normally, you'd use the technology specific launcher to launch the application. These launchers do know exactly what is required to set it up and start the technology and the application. However, covering the launchers is out of scope for this post, so we will review them and their mechanics in a follow-up. But first, we will start without anything. The most simple application you can create with JVx is an application which does open a single window and only works with in memory data (if at all). This can be easily achieved by "just starting" the application. We can start to create and manipulate the GUI, in this case we are building a simple window with a label inside. Last but not least, we make sure that the JVM will exit when the window is closed. A very good example and showcase for that is the JVx Kitchensink. That's it. That is the most simple way to start a JVx application. We can use all controls and we can use MemDataBooks without any problem or limitation. And best of all, we can simply switch to another Technology by using another factory. Of course JVx wouldn't be that useful if it would just provide static GUI components. Now, to explain what else is required for a remote JVx application I have to go far afield, so let's head down the rabbit hole. What you are seeing here is a rough sketch of how the architecture of JVx looks like. Let's walk through the image step by step. We will look at each successive layer and work our way from the database on the server to the databook on the client. As a note, the instance returned by getDBAccess is the database specific DBAccess extension, which does know how to handle its database. ...or manipulate the database, or query information about the database or execute procedures or do anything else. We can use this to insert, update, delete and fetch data. Additionally the DBStorage does retrieve and manage the metadata of the table we've set, which means that we can query all column names, what type they are, we can even access the indexes and the default values. Short, the DBStorage leaves little to be desired when it comes to operating on a database. As one can see, it looks quite familiar to the DataBook, which isn't a coincidence. The DBStorage "powers" the DataBooks on the server side, a DataBook will get its data from and will send its modified data to the DBStorage. I've been using the DBStorage here as an example, but actually the Storage is not dependent on a database. IStorage can be implemented to provide any sort of data provider, like reading from an XML or JSON file, scraping data from a website, fetching data from a different process or reading it directly from a hardware sensor. Life Cycle Objects, or LCOs, are the server side business objects which contain and provide the business logic. They are created and destroyed as is requested by the client-side and are used to provide specific functionality to the client, like providing functionality specific to one screen or workflow. This is done by RPC, Remote Procedure Calls, which means that the client is directly calling the methods defined in the LCOs, which includes getting the Storages for the DataBooks. There is also a security aspect to these, as you can permit one client access to a certain LCO but lock out everyone else, which means that only that client can use the functionality provided by the LCO. But let's not get ahead of our selves, there are three important "layers" of LCOs which we will look at. The LCO for the application represents the application itself and provides functionality on the application layer. It is created once for the lifetime of the application and this instance is shared by all sessions. The LCO for the session represents one session, which most of the time also equals one client connection. It provides functionality which should be session-local, like providing the database connection which can be used. // Code for initialization and caching of DBAccess goes here. The sub-session, also known as screen, LCO is the last in the chain. It provides functionality specific to a certain part of the application, like a single screen, and provides the storages required to power the databooks and other functionality. // Code for initialization and caching of DBStorage goes here. There really isn't much to say about the server, it accepts connections and hands out sessions. Of course it is not that easy, but for this guide we will not go into any further detail. The connection which strings together the client and the server is used for the communication between them, obviously. It can be anything, from a simple direct connection which strings two objects together to a HTTP connection which talks with a server on the other side of the planet. By default we provide different IConnection implementations, the DirectServerConnection, DirectObjectConnection, the HttpConnection and the VMConnection. The DirectServerConnection is a simple IConnection implementation which does simply forward method calls to known Objects - without serialization - and is used when the client and server reside inside the same JVM. The HttpConnection communicates with the server over a HTTP connection and is used whenever the client and server are not inside the same JVM. The DirectObjectConnection and VMConnection are used for unit tests. As example we will use the DirectServerConnection, which serves as Server and Connection. It is used if the server and client reside in the same JVM. // The connection will be automatically opened by the MasterConnection. The MasterConnection is the main connection which is used to access the server and its functionality. When a MasterConnection is established, a Session LCO on the server is created. A SubConnection is a sub connection of the MasterConnection and allows to access specific functionality encapsulated in an LCO. When a SubConnection is established, the requested/specified LCO on the server is created and can be accessed through the SubConnection. The SubConnection can now access the functionality provided by the Application, the Session and the LCO which was specified. Of course the RemoteDataSource is just one possible implementation of IDataSource which can be used to provide data to the DataBook. And now we are at the other end of the chain, at the databook on the client side. We just need to tell our databook what datasource to use, and we are done. The name of the DataBook is used to access the DBStorage object in the LCO provided by the datasource. The mechanism for that is a simple search for a getter with the set name. Here is an interactive demo which allows you to explore the connections between the client and server side. The complement classes are always highlighted and you can click on the names of the objects to receive additional information about them. // The DBAccess gives us access to the database. // We'll insert some data for this example. dbAccess.executeStatement("create table if not exists TEST("
+ "ID int primary key auto_increment,"
// We are skipping the LCO, Session and Application in this example. // does not require a server. // It is designed to be used mainly for unit testing. // We are skipping the SubConnection in this example. // You can use the DataBook here. // Perform cleanup of all opened objects here. 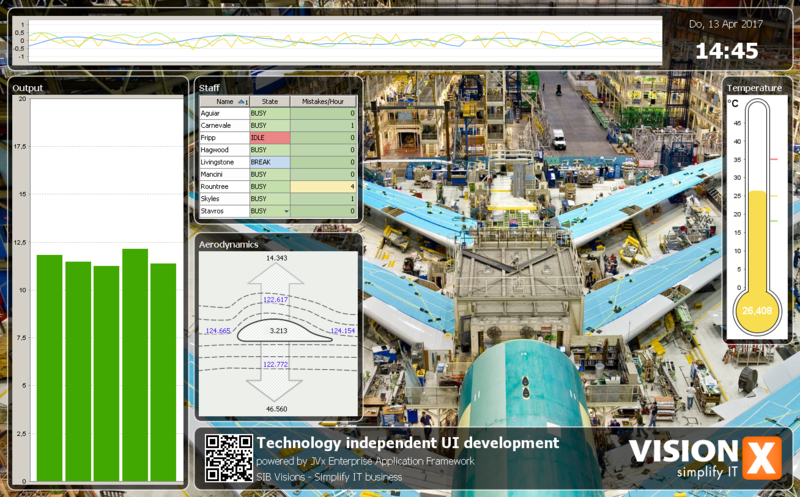 With this little example we have a completely working JVx application. We provide ways to create most of this out of the box and read most of it from configuration files, so there really is just little code to be written, see the JVx FirstApp as a perfect example for that. So there is rarely any need to write code like this, all you have to do is create a new application and start it. // Insert after the RemoteDataBook has been created. You can swap out every layer and provide custom and customized implementations which exactly work as you require it. Just like that we've walked through the whole stack of a JVx application, from the database which holds the data all the way to the client GUI. Of course there is much more going on in a full-blown JVx application, for example I've spared you here the details of the configuration, server, network and providing actual LCOs and similar. But all in all, this should get you going. It's time for some words about my "shutter control" side project. My house has electrical roller shutters with remote control units for every window. It was/is possible to close and open the shutters with these remote control units without any problems. But it wasn't possible to open/close them automatically because I don't own a central control unit. I'm not sure if such a central control unit is available for my "old" receiver modules? In the meantime, the project got a lux sensor to close the shutter if it's dark outside and it recognizes public holidays for later opening. It's not a good idea to open shutters on public holidays at 6 am The whole project is working very stable and it's so useful! I made some simple tests with Echo because I tried to find out if it's really useful to have such a thing at home. And for sure, it is. It works really great and saves time It's great as replacement for standard radios or to stream your favourite music. It's also nice to listen to daily news or the weather forecast. A nice feature is the alarm clock! But enough, it's a nice and useful device which simply works. The idea was voice control of my roller shutters. Amazon Echo allows developers to create AddOns. Such AddOns are called Skills. It's not trivial but also not complex to create a custom Skill. The getting started is well documented and more documentation is available online. A developer forum exists and is active enough. It's really no problem to start but some pieces of the puzzle are unclear. I didn't find a detailed technical overview or didn't search long enough. It also was unclear where the Skills will be executed. I thought a skill is like an app and runs directly on the device... This was not the case. Amazon Echo is a simple client and sends all requests to the amazon cloud. It handles responses but the brain is in the cloud. This means that all your services must be in the cloud. It's not a problem to host your own services in your own infrastrcuture but all your services have to be available via Internet. It's not possible to access a server in your Intranet directly. It's not possible to tweak with custom router configurations or custom dns records. Your services have to be available as cloud services. I found many solutions with service proxies or request forwarding but I didn't like this solutions because my home network is private. But this was the only limitation and not really a problem because we have technologies like MQTT. I didn't use MQTT in the past but read a lot about it. The problem was that I didn't have a use-case for it. This was changed with Echo. I played around with Mosquitto some hours and after TLS with and without user certificates were working, I was ready for connecting my shutter client. I don't write about my Mosquitto configuration here because there are so many good blog entries available in the wild. 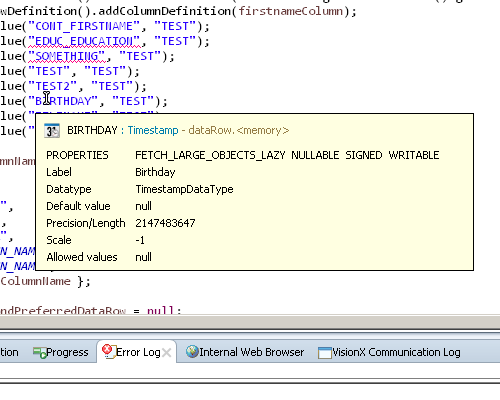 It might be interesting that I use Eclipse paho as Java client library. PEMDecryptorProvider provider = new JcePEMDecryptorProviderBuilder(). The Skill itself doesn't need source code. Amazon offers a web UI for the configuration and a simple test tool. The creation was straight forward and I simply followed an example from the Skills-API package. One tricky step was the certificate configuration, but Amazon supports self-signed certificates and wildcard certificates without problems. So, the Skill creation was done very fast because everything was done online without coding. // Create the plain text output. It's also possible to use Amazons infrastructure for your services, but I have my own application server. After some days, my roller shutters were controlled by Amazon Echo aka Alexa with voice commands. It was really cool and simple! I can only recommend this device! My third year at SIB Visions is now coming to an end, once more it is time to take a deep breath, sit down and have a look at everything that has happened so far. My year has been filled with a lot of non-public work, so please forgive me if I cannot go into details on various fronts. Quite a few customers approached us and asked if we could implement prototypes for their projects, for one reason or another they all ended up on my table, the prototypes, that is. I like working on prototypes, because they allow me to quickly and easily explore new concepts and they have a definitive, narrow scope. Also we can finally use and show off all these cool new features we have built, like the new client-side layouts which we've created for our Vaadin implementation. In the course of the year I've worked on over half a dozen prototypes for different customers. They all came with their own set of requirements and goals, obviously, and so they were very different to work on. The most interesting part about these prototypes is the vast spectrum of different designs and ideas. 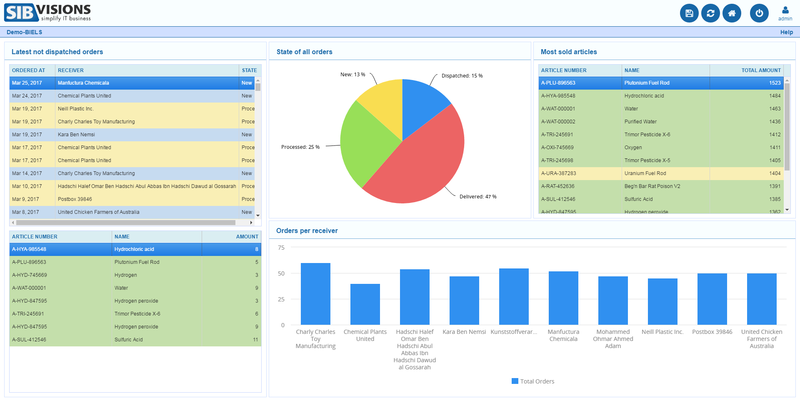 I unfortunately can't go into much detail here, but we've created application frames ranging from simple Swing input forms to highly customized Vaadin dashboards and information screens. Further down I'll talk a little more about these concepts and ideas. 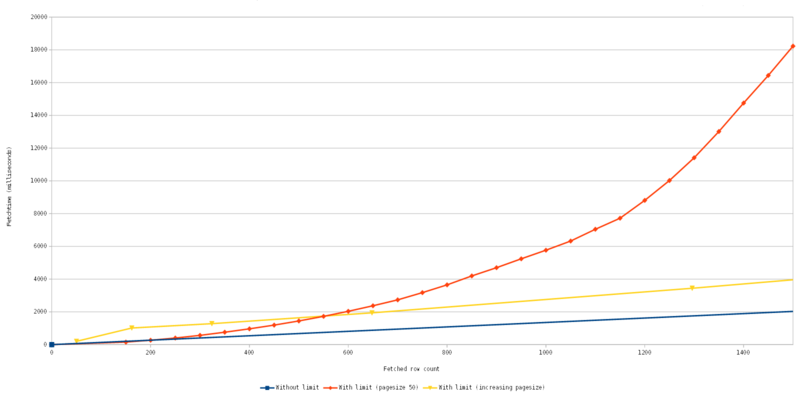 Our MySQL implementation did suffer from a major problem, it fetched all records, always. That is not just an inconvenience as you can imagine, it might also lead to OutOfMemoryExceptions and similar problems. So one fine day we sat down and did take a deep look at our possibilities to either mitigate or completely fix this problem. As it turned out, the fix was far simpler and easier to implement than we imagined. To cut an already told long story short, we are now utilizing the MySQL support to limit the fetched datasets (the LIMIT keyword). Which means that we are not only able to display initial data faster, but also fetching of more rows is now working as one would expect. As you can see, we can now display initial data a lot quicker than before. More work has been poured into the aforementioned new client-side layouts and they are now usable for testing and (limited) productive usage. Since the beginning we had trouble to sculpt the Vaadin layouts into the necessary shape to support our ideas about layouts. Over a year ago we started to work an new layout implementations which would operate completely client-side, most of the work was based off earlier work to improve the FormLayout. These new layouts have no logic on the server-side, but instead operate completely client-side only using "hints" from the server. That means that one can implement quite complicated layout logic (like our FormLayout) with ease. We've implemented a new component, the so called LayoutedPanel, which can have different layouts. It does provide the base component for the new layouts but does not provide any logic itself. Instead it delegates all the layouting logic to layout implementations, that means it basically works the same as the Panel from AWT/Swing. Performing the layout logic on the client has multiple upsides, for example that the actual size of the components is known and that you can do it with a lot less elements. As you can see, it is quite easy to use and works nearly identical to our panel/layouts. Let's take a further look into what is happening on the server and what is happening on the client. On the server the LayoutedPanel manages the list of components which have been added, what layout is currently in use and the constraints of the added components. There are layout classes/implementations on the server, but they are mere placeholders (so that the LayoutedPanel on the client side knows which layout to use) and provide only limited logic (for example how to write the constraints into the state which is send to the client). It must resize itself to the size of/fill the parent container. It must dictate its own size. Additionally, the size of the canvas is always set to the same size as the panel, to prevent the element from collapsing. There is of course more logic in place to make it all feasible and usable, but I won't go into any further detail here. The layouts itself are simple to implement, they have a list of components and the size of the container, and they set the location and size of each component. For everyone adventurous and daring enough, the source for the new layouts is available in the com.sibvisions.rad.ui.vaadin.ext.ui.panel and com.sibvisions.rad.ui.vaadin.ext.ui.client.panel packages in the JVx.Vaadin project. From that moment on, every layout created will use the client-side layouts. Of course you can always set it to false or true inside your code, to get either new or old layouts. We've also improved the GridLayout in Swing, previously the Swing GridLayout would show gaps every time it is resized. After some back and forth, we've managed to implement a new way to prevent/fill these gaps. That means that the Swing GridLayout is now distributing "left over space" through out its entirety, instead of just to the last column. This creates a very "organic" feel when it is resized and it is barely noticeable that some elements are a pixel wider than others. Hurray! Over the course of the year we've added two new databases to JVx! The first one is SQLite. In case you don't know what SQLite is, it is a simple, lightweight and easy to use database which is embedded into the application which uses it. That means there is no server or connection, not even a different thread for the database engine, there is just the driver which does everything. This is interesting for many reasons, but the main one is to allow embedded applications to use a lightweight database. It also supports an in-memory mode, which means that it never must write the data to any kind of storage. Because SQLite is designed to be used in embedded applications (or at least embedded in applications) it has quite limited functionality, like no triggers, functions or sequences. But nothing beats the minimal footprint and ease of use it has. Personally, I'm quite excited to support the H2, because it is a very easy to use and yet powerful and flexible database engine. I'm looking forward to use it in projects. For the summer we actually had an intern which wanted to take a sneak peek into the world of software development. As it is with interns (at least around these parts), they are young, foolish and shy. What took me by surprise about this one was not only the eagerness with which he set to work, but also the will to learn new things as fast as possible. No matter how much information I threw at him (not literally, though, I was disallowed that, too) in the form of books and short lectures, he seemed to be able to digest and at least follow it, that impressed me very much. With very, very few exceptions ("Did you just fetch a Timestamp from a DataBook as String, parse that String to a Date and then convert it back to a Timestamp?") he was up to speed with Java and JVx in no time and wrote very good code. As I said, I am very impressed with how he held up. Daniel, was a honor having you! Of course the year also brought more work on our Eclipse plugin, called EPlug, and the update to 1.2.5 was released in late summer. For this to work we had to rewrite how tooltips were presented to the user. For those familiar with the Eclipse tooltip system, there is the IInformationControl interface which allows to display tooltips and similar. In previous versions we used an implementation which embedded a HTML renderer into the tooltip. That allowed the clients to have absolute control over the content, but it also meant that there were sever restrictions, for example autosizing the tooltip was tough. All that is accomplished by a rather simple system. It's nothing more than a control with an icon (top-left), a title (top) and the content, which can either be an object or an image. If it is an object there are just a few ifs which are determining how to display that information. What I took away from that was a quite important lesson. The initial implementation tried to be as flexible as possible by using a HTML rendering engine, the new implementation is not as flexible, but has a clear and well defined behavior and does have definitive advantages. So my advice is one that has been repeated way too often: YAGNI, You Ain't Gonna Need It. Start out small, and start building up as the need arises. 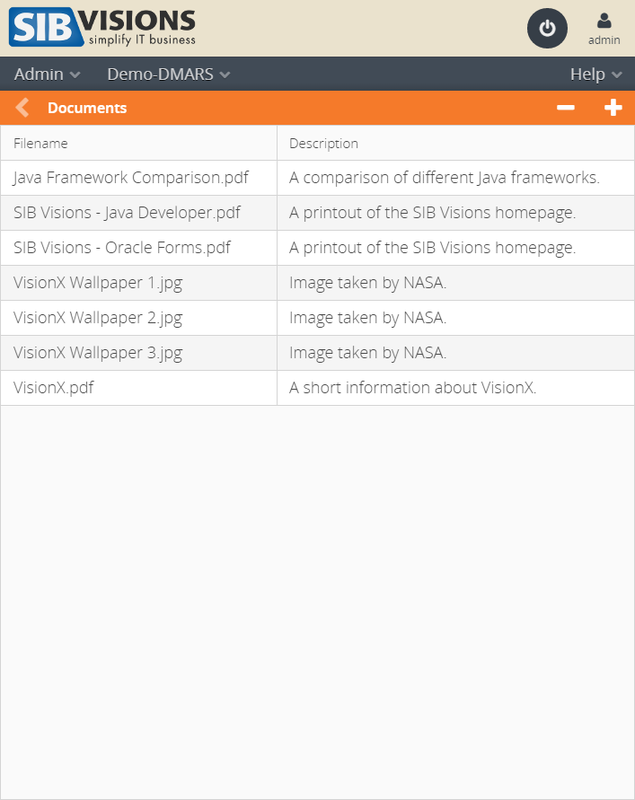 As some of you might remember, one of the first tasks I was assigned to was to create an Oracle Forms Importer, which we do offer to VisionX customers. 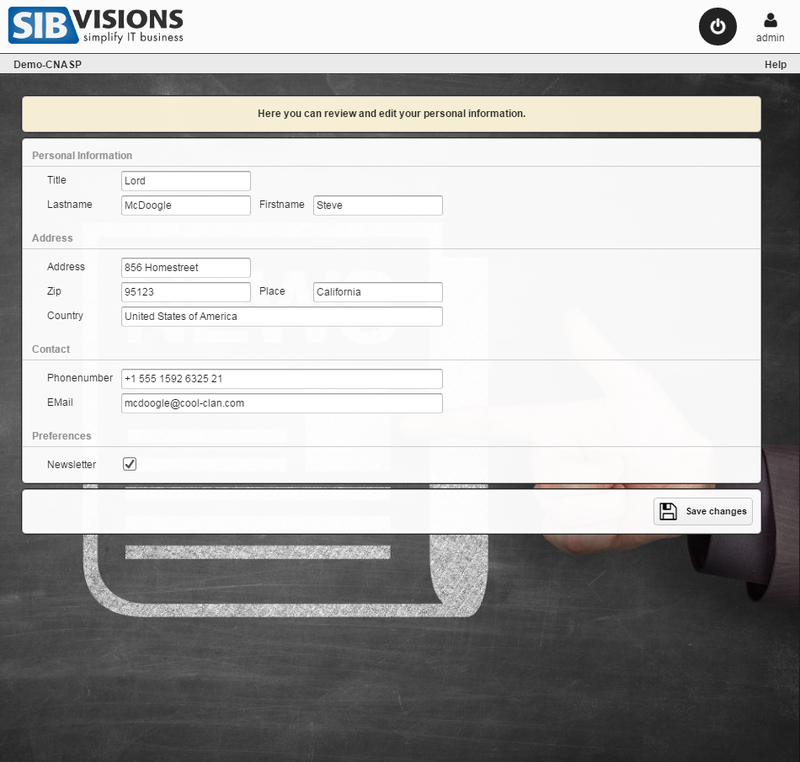 It is a rather simple piece of software which allows to import Forms directly into VisionX. In autumn we took another shot at it and improved the import system, so that it now recognizes and correctly imports an even more varied range of forms. Importing a form is still quite because of the outlined differences between Forms and JVx, but I believe that we are on a very good track and the current solution works quite well for a wide variety of forms. The Kitchensink is an Eclipse project, that means all you have to do is download or clone the source and import the project into Eclipse. With the included launchers you can now start it either with Swing or JavaFX frontend. We are currently considering to embed a lightweight application server, so that testing the Vaadin frontend also becomes as easy as starting the Swing variant. That would mean that all three major frontends could be easily tested from the Kitchensink, which would be awesome. Some of our customers requested that we build custom components for them, these component should work in Swing and Vaadin in the same way. As I've outlined in a previous blog post, this is actually easily done depending on what your exact use-case is. One of the most notable examples is a calendar which we've built on the technology layer. For Swing we've used the java-swing-calendar project and for Vaadin the Vaadin Calendar. Unfortunately, Vaadin has discontinued their Calendar for the time being. Anyway, we've implemented the calendar component and also added bindings for the databook to provide events, which was quite straight forward. I do have to rant about the Vaadin Calendar, though. It does support two sources for the data, the Container interface and a calendar specific CalendarEventProvider interface. As we already had an implementation for a Container, I used that one and adjusted it so that it could be easily used with the Calendar. All fine and dandy, until I started to work with events, which are only providing a CalendarEvent as information on what event is affected. This CalendarEvent has zero information about the model, and I mean zero. There is no way to track the model from the CalendarEvent, you just don't know what event just was clicked or dragged. The only way is to not use a Container and instead use a CalendarEventProvider which returns custom CalendarEvent extensions which know about the model. Otherwise implementing these components was very smooth. The updates are available in the marketplace, so Eclipse can automatically update to it. Out of the work on prototypes for our customers arose the idea to provide quite a few these new ideas to VisionX users in the form of demo projects. We've prepared these demo projects over the last few weeks and they will be released to the VisionX solution store within the next time. As said, these demo applications will be available in the VisionX Solution Store. Wow, that has been an interesting year. A lot of things happened and we made a lot more happen, with even more stuff in the pipeline and yet even more stuff on the horizon. From where I'm sitting, the next year looks very interesting with a lot of new challenges, which we will for sure master. Thanks to everyone at SIB Visions, it's been an awesome year and I'm looking forward to another one with all of you!